This handbook series includes several naturally occurring chemicals that exhibit biological activity. These chemicals are derived from plants, insects, and several microorganisms. Volume II of this series is devoted to methods for isolation and identification for pest control technology.Methods for isolation and characterization are very important for gaining knowledge on how to discover these chemicals when present in such minute amounts (ppm to ppb levels) in nature. 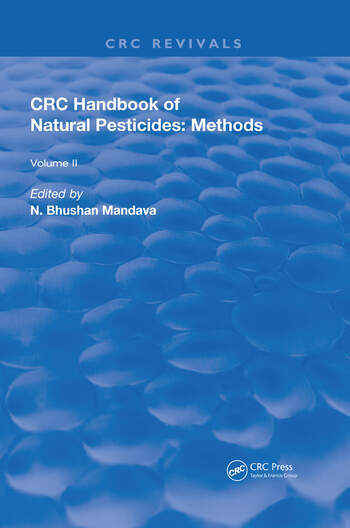 Several chemical and biological methods have been developed for isolation, characterization, and analysis of natural pesticides and are included in Volume II. Dr N. Bhushan Mandava is President of Mandava Associates (1986 - Present).